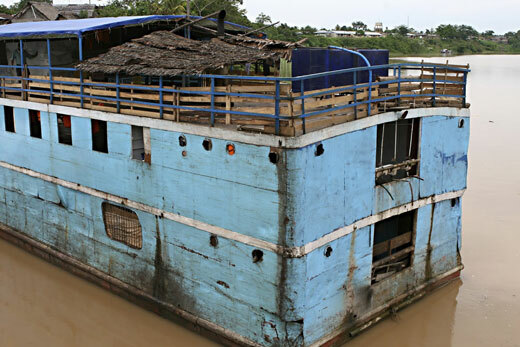 The urban mosquito that carries the dengue fever virus is hitching rides on river boats connecting the Amazonian town of Iquitos, Peru, with rural areas. PLOS Neglected Tropical Diseases published a study by disease ecologists at Emory University, showing how the Aedes aegypti mosquito, which is normally associated with urban areas, is tapping human transportation networks to expand its range. Like the housefly, Aedes aegypti is perfectly adapted to the domestic life of humans. It especially thrives in densely populated urban areas, since it feeds almost exclusively on human blood and has a limited flight range of about 100 meters.